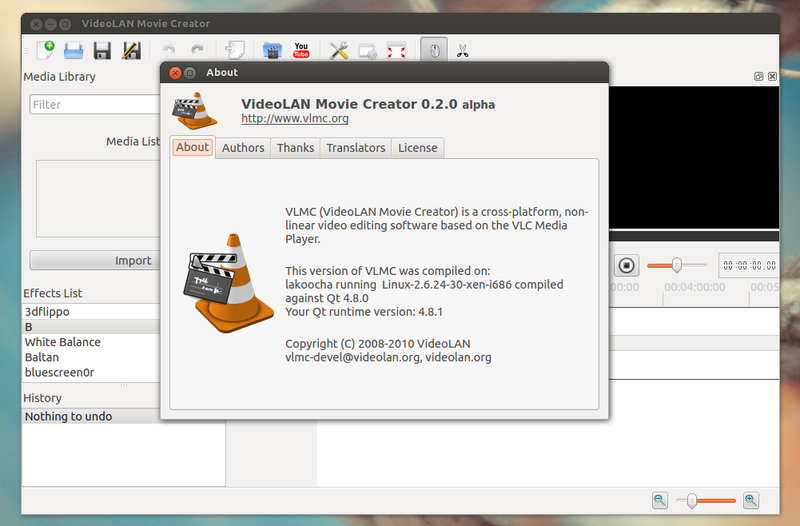 Well, if you are familiar with VLC Media Player and love it, you should give VLMC (VideoLAN Movie Creator) a try when making video. VLMC is created by VideoLAN team. It is cross platform application, so you can use it on Windows, Linux, and Mac OS. Based on libVLC, if you love VLC Media Player, you will love VLMC too. VLMC can read many formats and export the video result to many formats too. It comes with YouTube integration, so you can upload your video easily.